In 2015, a still young Sam Gellaitry nicked a calculated ambient stream of strings, synth, and other instruments with hard hitting trap on debut EP, Short Stories. It was immediately followed by the first of a series of three Escapism EPs, all numerically progressed. 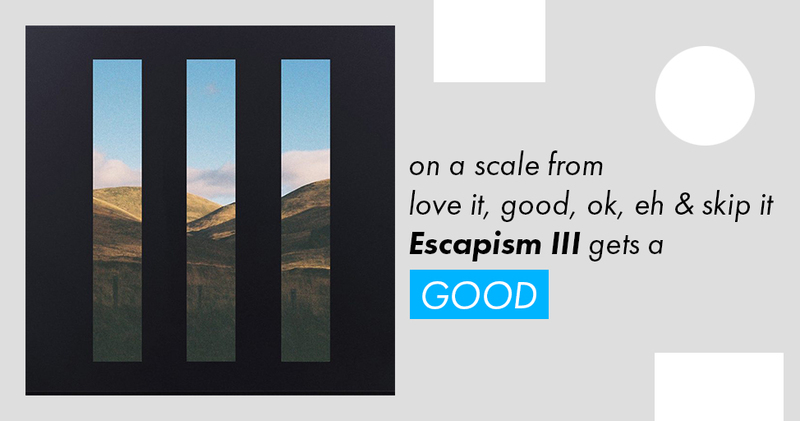 Escapism III, the latest and final collection in the trilogy, harnesses the construction of the Scottish producer’s past installments and takes them to an explosive victory. However, III links more directly to I than it does with II, in part because II stripped away much of the hard hitting trap beats for a more subdued outlook. That return to early stages bodes better for the final product, as it sounds more confident and pushes the trap ambient fusion on a more complex and festival-friendly plane. “Jungle Waters” was thoroughly discussed via one of the first Monster Bunker episodes, where it was given so-so reviews and had sounds picked apart by the sand guzzling Ellis (inside podcast joke). Upon hearing it again, this time within context, the repeated violin crescendo brightly opens the EP over a cinematic landscape where weird frogs yelp and trap heightens the dense atmospheric layering. The fusion of ambiance and dance put the dueling roles in effortless encapsulation, working oddly well together. “Midnight Racer” is exactly what we hear–a bright lullaby of synth evokes a starry night and surges as if inside an engine. It then combusts into faster pops and loops of sonic electronic elements, collapsing dramatically through embeds of vocal distortion and previews of the next track–“Acres.” It is by far the strongest and possibly the most intricate track on the EP. The aforementioned “Acres” solidly prologues what “Midnight Racer” touched upon in the end. Sam Gellaitry pushes the soothing vocals to the forefront alongside some sappy piano and guitar for a more romantic design. Escapism III borrows many points from the previous EPs and mutates them to fit Gellaitry’s maturity. There’s a sense of polish surrounding the experimentation that wasn’t sought after in preceding works. It’s that roughness that got him to think differently. But you can slowly begin to hear a much firmer (and confident) grasp over the amalgamation he introduced two years ago. 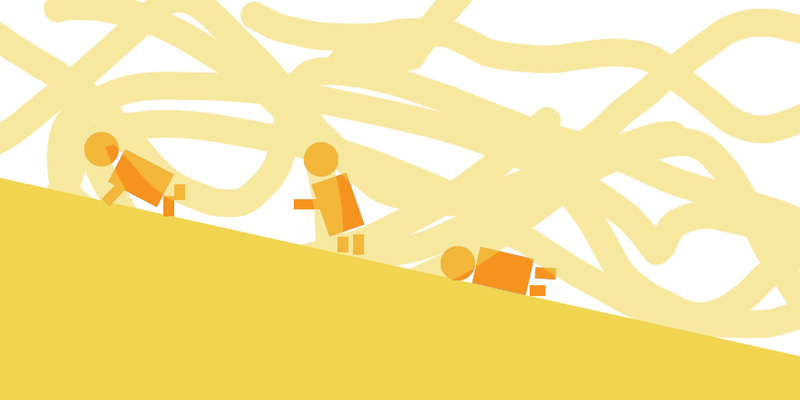 this is colorful monsters’ second and official weekly podcast Monster Bunker. in a wasteland 3,000 years into the future, a trio of guys have awaken from their cryogenic sleep in search of food and music. they are completely oblivious to all releases and important cultural moments since the end of 2016. join them as they uncover worthy musical artifacts starting from January 2017 and maybe you’ll find them worthy too. In this podcast, they discover “Flamingo” by Infected Mushroom, “I Just Wanna” by Big Wild, and “Jungle Waters” by Sam Gellaitry.